The October edition of Tin Soldiers Newsletter is available. Click HERE to download it in PDF format. Remember that we will be at the Centurion Craft Show all day on Friday, Saturday and Sunday this week. 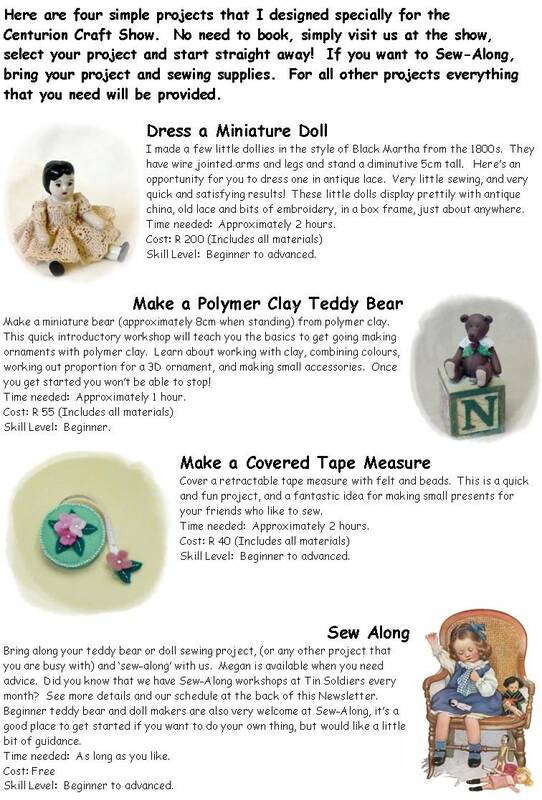 Here's a little preview of the classes that we will present at the show. Full details are in the Newsletter. Good luck for the show. I do hope you have a great time. Hope you are having a good time at the show. Two days down one to go.